Acupressure is a science of alleviating health problems and a process of prevention and cure of diseases. In acupressure the good health is gained and maintained by regulating the positives and the negatives of the flow of the vital energy (Chi or Pran) and the body fluids. The affected organ (s) is set right to act in a harmony with the other organs and the whole body. Acupressure also has a pain relieving or analgesic effects. Ultimately a homeostasis of body is achieved by the cure of the diseases and setting various organs and constituents of the body to act in synchronization to one another..
Acupressure is effective for the treatment of common ailments such as headaches, migraines, lower back pain, neck & shoulder tension, cramps, menstrual irregularities, insomnia, emotional stress, low energy and fatigue. In addition, Acupressure is effectively used prior to conception, throughout pregnancy, and during labour and post-partum stages as it promotes the mother's well being, emotional and mental balance, and relaxation. The art and the science of acupressure are useful for fast and long lasting cures to various ailments. Even in the cases of chronic ailments acupressure has produced fast, effective stable and cost effective cures. 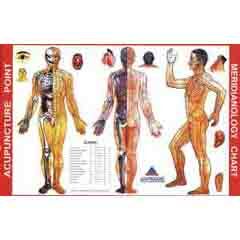 ACUPRESSURE THERAPY : Acupressure is nature’s health science built in our body. In acupressure therapy you have to apply pressure on certain points located on palms and soles. The pressure given on points stimulates all the organs of the body to prevent disease and to maintain good health. This therapy also enables us to diagnose and cure the disease permanently. 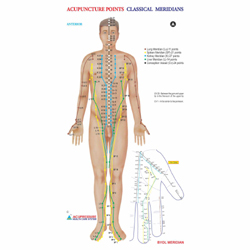 Secondary or equal or Practical experience in acupressure therapy. Definition & Concepts of Acupressure. Laws of Five Ki Element (Naturopathy). Types of Pressure (Foot & Hand). Diseases & Treatment by Foot Reflex Point.